Vehicles are set to become increasingly connected in the coming years and generate billions of dollars as a consumer spending platform. 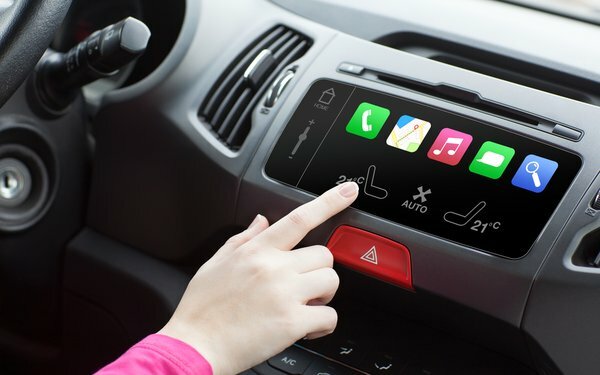 Over the next six years, infotainment services will lead the connected vehicle market in data usage and overall vehicle connectivity will increase, according to a new study by Juniper Research. By 2022, half (50%) of consumer vehicles in use will have at least one connected feature, according to the study. Connected features could come in the form of vehicles communicating with other vehicles and surrounding city infrastructures or connect services inside vehicles for driver and passenger use. In the short-term, most data usage from connected vehicles is expected to come from infotainment services, such as streaming music or downloading maps content for navigation, according to Juniper. By 2022, data usage from connected car services in North America will reach almost 3,000 petabytes, or about the storage size of more than 90 million standard smartphones. Connected car services are expected to generate more than $18 billion by the end of this year and more than $49 billion in 2022, according to Juniper. More than a third (39%) of that will come from North America. However, consumers are expected to spend twice as much on commerce platforms in connected cars. By 2022, Juniper expects consumers to spend more than $100 billion on connected car commerce platforms. By 2022, more than 35 million non-commercial vehicles will be able to communicate with other vehicles on the road. Fewer than 150,000 are expected to have that capability by the end of this year, according to Juniper. Examples of vehicle-to-vehicle communication features include emergency braking, collision alerts and various aspects of autonomous vehicle systems. Juniper defines connected cars as vehicles equipped with devices that allow machine-to-machine communication or machine-to-human interaction.